Get the Condor Police Patrol Bag today! Police Discount Offers have found a nice compact bag for keeping various pieces of police kit stored away. 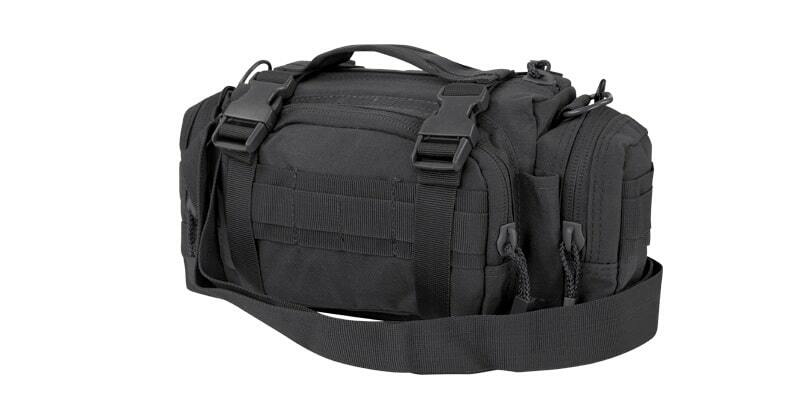 This Condor Patrol Bag has a main compartment with mesh and pockets, with a zip closure. It has two D -rings on the top front pocket with 3 inner sleeve pockets. The outer design consists of the MOLLE system with a zip closure. There are also two side pockets and it has an adjustable, removal shoulder strap should you require it. The dimensions are 6″x 12″ x 5.5″.